Starlet Poonam Pandey recently paid a visit to the ongoing Kumbh Mela, took a dip in the holy Sangam water and sought blessings. Hrithik Roshan: Loved d promos of #HERO. @soorajpancholi9 n @theathiyashetty ur blessed Im watching it dis sat. Bright light n love! Cu soon. Alia Bhatt: All the best and lots of love @soorajpancholi9 and @theathiyashetty !!!!!! #Hero today. Amy Jackson: I can't get enough of you both on screen @theathiyashetty @soorajpancholi9 Absolutely loved Hero. Elli Avram: Hero it was beautiful to watch @soorajpancholi9 & @theathiyashetty :)))) lots of love to both of you rock stars!! 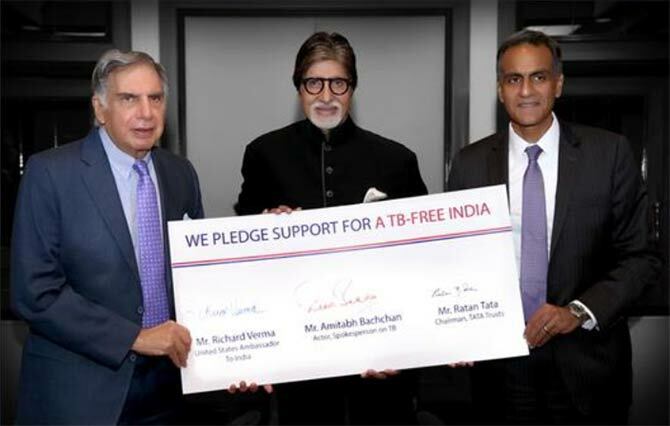 Amitabh Bachchan, who has been associated with many social causes, recently launched a campaign against tuberculosis. ‘I am a TB survivor #TB, know that it is curable and one can overcome it,’ he added. The Call to Action for a TB-Free India campaign is an initiative led by Government of India to engage corporate, civil society and community leaders to end TB in the country. Bollywood actresses really do have each other's back in times of crisis. After Sonakshi Sinha was trolled for expressing her views on Mumbai’s controversial meat ban, her colleagues Sonam Kapoor and Priyanka Chopra turned to Twitter to support her. Meanwhile, Sonakshi is getting away from all the social media madness. Shah Rukh Khan seems happy with the way his upcoming film Fan is turning out. Produced by Aditya Chopra, the film also stars Waluscha De Sousa, Illeana D'Cruz, Shriya Pilgaonkar and Ali Fazal. 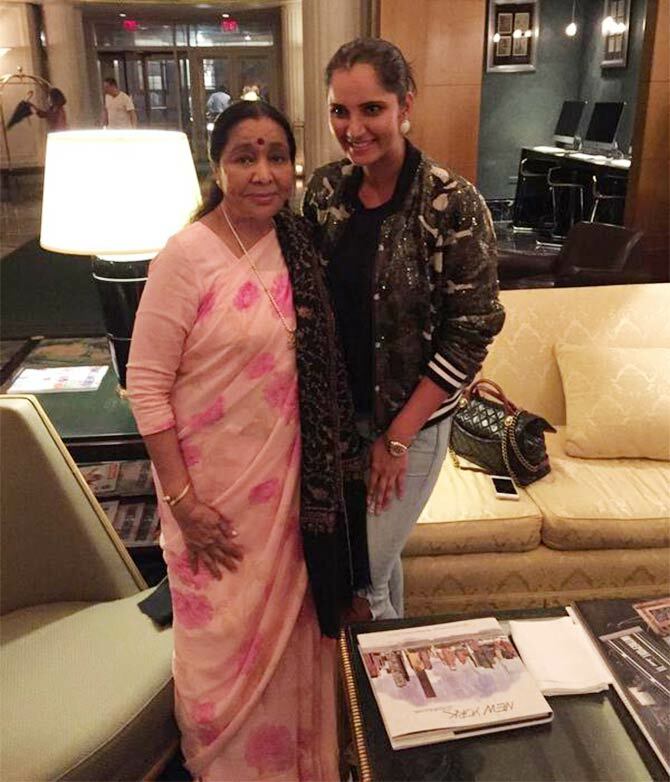 Veteran singer Asha Bhosle, who is in the US on a musical tour, recently caught up with tennis star Sania Mirza. ‘She's such a nice person. I wish her all the best and hope she wins the U.S. Tennis Title on 13 September '15,’ she added. Actors Tamannaah Bhatia and Ravi Teja are currently in Switzerland to shoot a song for Sampath Nandi’s upcoming Telugu film Bengal Tiger. The film also stars Rashi Khanna and Boman Irani. 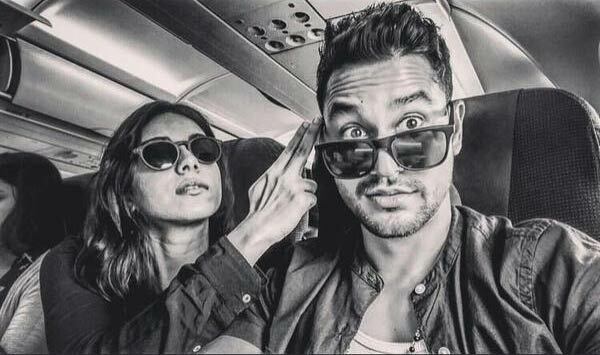 Actors Kunal Khemmu and Zoa Morani have started touring the country to promote their much-delayed film Bhaag Johnny. Directed by Shivam Nair, the thriller will release on September 25. When Shahid, Alia couldn't stop dancing! Will Dhee's story inspire the LGBT community?